Our log homes and Eco houses are made of solid logs. These slow growing, ring-dense Scandinavian Pine and Spruce are known world wide for their strength, durability and superior natural thermal insulation, as excellent raw material for log buildings. Our logs are kiln-dried to 20% (+/- 2%) humidity. This increases structural stability and enables occupancy immediately after construction. 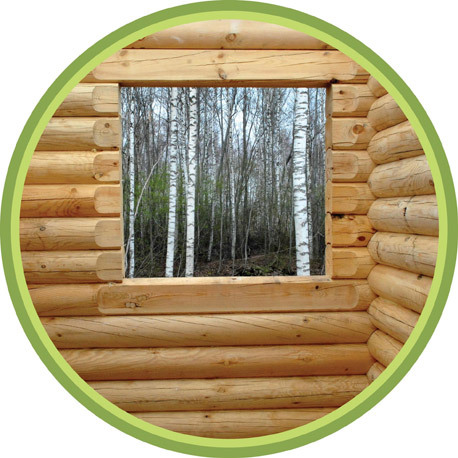 All logs are already treated to protect the timber from insects, woos pests and mould.